2011’s Drive delivers a tight story like a sock in the jaw and takes no easy ways out. Stylish at every turn, but substantive to boot, it will haunt you after it’s over- if you get it. A great indication of how interesting a movie will be is it’s ability to polarize an audience. When Drive skidded into theaters, it actually sparked an attempt at a class action lawsuit by some of it’s viewers. The claim was that the movie was boring, and it should’ve been more like 2 Fast 2 Furious, less like a Bergman flick. 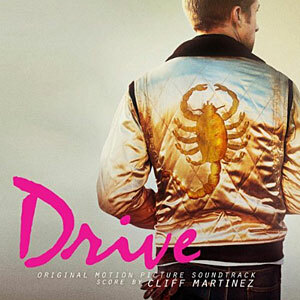 Drive is a quiet movie punctuated by loud explosions of realistic violence. It’s about the damage done in those moments, it’s about surviving them, it’s about what’s valuable under pressure and defending what you must. It’s about character. There’s only one car chase. For some, it was doomed to fail. The movie was born out of Ryan Gosling’s desire to bring Danish director Nicholas Winding Refn to America. Refn’s previous work had been somewhat surrealistic, he wouldn’t be an easy sell to the producers. The first meeting with them proved disastrous. There didn’t seem to be a key to unlock the plot of the film. Afterwards, as Gosling drove Refn away, a Journey song came on the radio and, succumbing to stress and caught off guard by the moment of inspiration it provided, decided the movie will be about a driver who listens to pop music, and his experiences would be reflected in it. A theme was born. The score was made up of ambient sounds that came a genre, movement, and record label called Valerie. French in it’s locale and 80’s snyth pop in it’s roots, the movie floats along to a pulsating beat. That’s not the heart of the matter, however. Throughout there are a few pop tunes that lyrically provide a sort of narration for the story, almost like a Greek chorus. Those songs would came from a guy named Johnny Jewel and two of the projects he created- Desire and the Chromatics. The lyrics are quite literal in some cases, and how well that works for you will help determine if this is a movie for you. Gosling’s character is never named and the dialogue in the movie couldn’t fill a pamphlet, but he becomes “a real human being, and a real hero” when the lyrics tell you so. 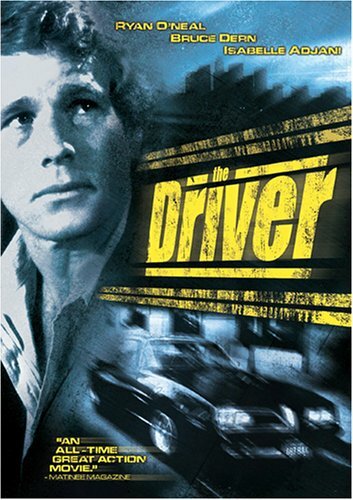 Drive is sort of a spiritual successor to The Driver, a 1978 flick with Ryan O’neal as the titular “Driver,” similarly unnamed. We never learn it, as it’s not important. Just his title. He’s The Driver to be exact, via the credits. A career criminal expert who can keep his cool outrunning the cops behind the wheel of any given getaway car for whatever ambitious bank robber has the bread and the chops to get ahold of him. He’s gotten himself in a corner because The Detective (again, that’s the character’s name in the credits), Bruce Dern as the kind of authority abusing prick he probably could play when he was in grade school, has him up against a brick wall with a blinding light in his face. You do this job or you do time, and there’s the girl. She’s The Player, and aren’t they always? Isabelle Adjani, appropriately bewitching. This is a gritty, intelligent, well oiled machine of a movie. Built for speed, not for comfort. It knows you’ve seen movies like it before, so instead of doing any character development that wouldn’t ring true (like a love story, for instance) it introduces all of it’s pieces fully formed and lets them spin and careen and smash into each other at high velocity for it’s entirety. If you’re ready for a decades spanning double feature, this is the one I recommend.